Casting the tenor role of Paul with an outstanding operetta singer with magnetism and star quality has its advantages. Not only Tauber demonstrated this with his melting version of “Glück das mir verblieb.” Also, years later in 1952, Karl Friedrich was an amazing Paul in the Munich recording conducted by Fritz Lehmann. Like Tauber, Mr. Friedrich uses many a surprising pianissimo, falsetto, and lyrical phrase where others (like René Kollo on the RCA recording) just strain the top of their voices. And the listener’s ears. Komische Oper offers Aleš Brisein as a tenor who goes down this lyrical road too: with haunting effects, again and again. However, he does not possess the voluptuousness of Tauber’s voice, the sudden attack, the way Tauber overwhelms the listener (also in his many Lehár interpretations) with just a single phrase. By the end of the evening, when the tenor is left alone on stage – ready to be taken away by psychiatrists in white coats – he sings the famous “Glück” tune once more. It’s almost identical with the end of Land des Lächelns where Tauber sang “Immer nur lächeln” one final time for tragic effect. At this point of the show, Briscein did not have much lyricism left to turn the moment into an unforgettable cri de coeur. More operetta ‘kitsch’ (in a positive way) would have been fitting here. 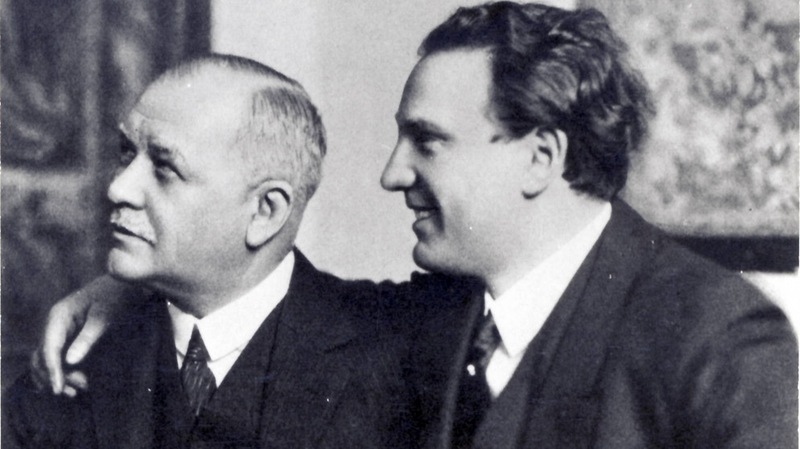 Franz Lehár with his star tenor Richard Tauber who premiered all of Lehár’s last operettas. The same could be said of Günter Papendell who looked dashing, as always, but didn’t sound quite so dashing with his serenade “Mein Sehnen, mein Wähnen, es träumt sich zurück.” The melodic lines of this slow waltz were not clearly sketched, even though the staging of the serenade, and the entire commedia dell’arte scene, was dazzling with glittering costumes and sets, turning Bruges-la-Mort into a very Berlin-style 1920s dream in which Marietta comes flying down from the ceiling on a chandelier, with silver confetti raining down from above. It was magical! As a staging, we see a typical Carson single-space-for-the-entire-evening, created by Michael Levine: a large stylish bed room whose walls and ceiling can move and turn into a street and contain the massive religious procession with lit-up statues of Virgin Maria carried around by the choristers. Here, as elsewhere, conductor Ainārs Rubiķis contained the orchestral forces as best he could. He offered a ‘slim’ reading of Die tote Stadt, which was a blessing. (Because no one can cope with three hours of non-stop fortissimo.) 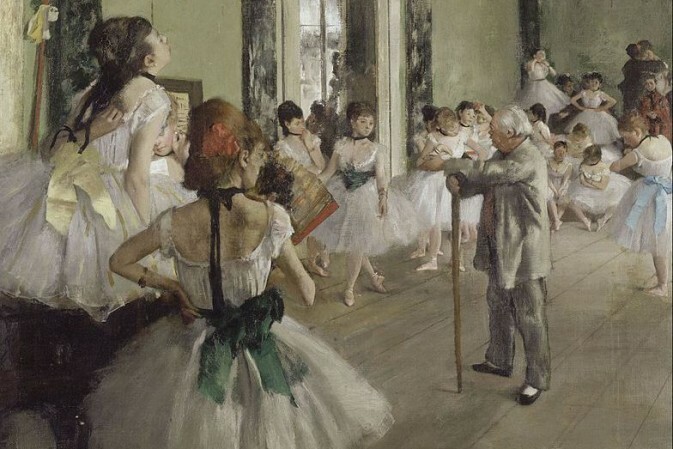 His tempi were often extremely slow, e.g. for Marietta’s Lied where he ‘lost’ the soprano at times. Then again, he dashed forwards with a speed that was unexpected. Rubiķis obviously wanted his Korngold to sound different, with sharp drum sections thrown in for cutting effect. I did like the almost trance quality of the slow moments, even if they brought the show to a stand-still at times. The premiere was transmitted live on OperaVision. You can marvel yourself at the beautiful sets and costumes there. And ask how much operetta is contained in Die tote Stadt. The nostalgia that the Korngold score evokes is a nostalgia that also informed his Johann Strauss work directly afterwards. Whether Pierrot’s “Mein Sehnen, mein Wähnen” is a jazzy ballad that you ideally hear in a smoke-filled whiskey bar (as Rubiķis says in an interview in the program booklet) is something worth considering, too. What struck me most was that with all the current fascination for Weimar Republic life and culture it seems difficult to actually get into the ‘style’ of the time for many singers, they shy away from the desperation, exaltation, and almost grotesque use of kitsch back then. Without them, though, the ‘true’ Weimar feeling only partially works. And it’s exactly these elements that make Weimar so current and relateable for us today. 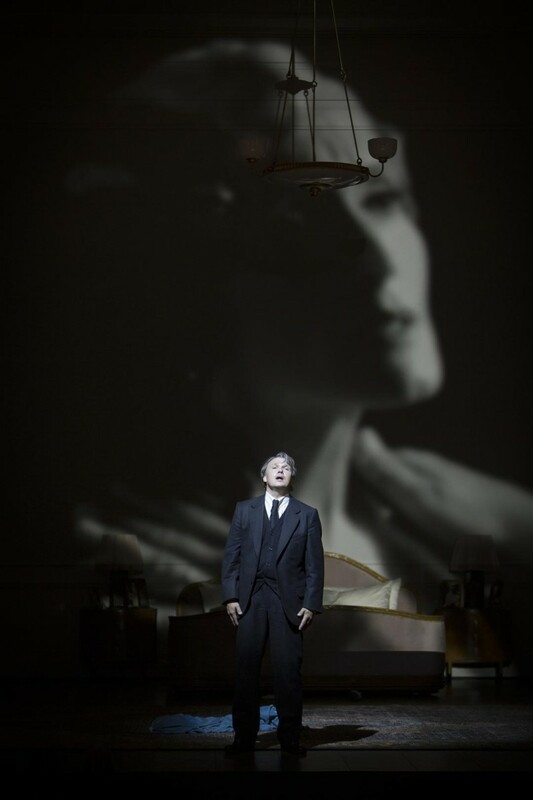 All in all, it’s great hearing Korngold’s Die tote Stadt in direct combination with the many other typical Komische Oper titles on offer right now – works that had been branded by the Nazis as ‘degenerate’ and banned, but that were highly successful and influential before 1933. It’s a context that does Korngold good. 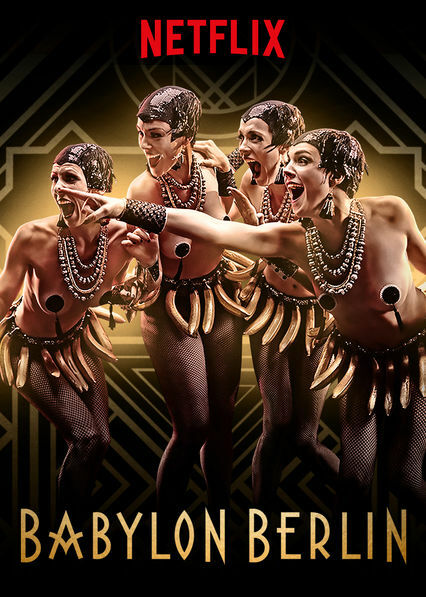 Advertisment for “Babylon Berlin”, which is also shown on Netflix. 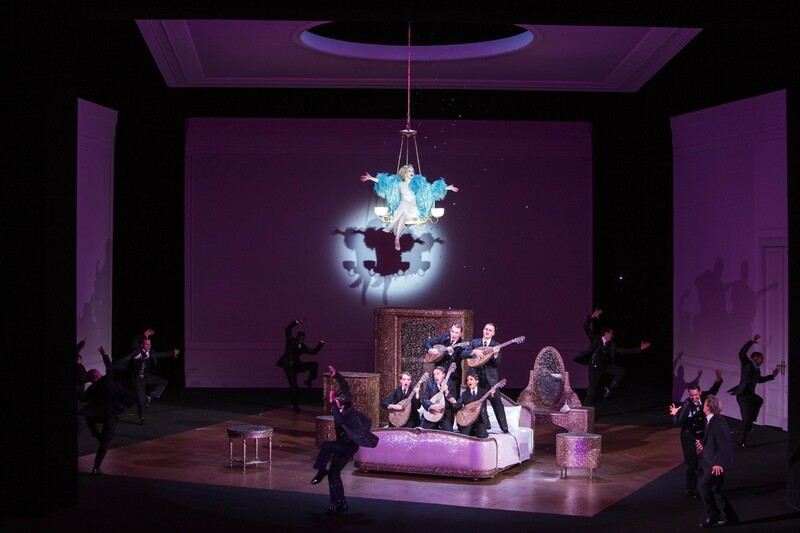 The Carsen production is visually close to typical Komische Oper style – so we might have a repertoire production of this classic for the next few years. Considering that the entire world seems to have rediscovered Die tote Stadt lately (with a production at La Scala coming up soon) it’s good to know that the opera is back where it belongs: modern day Berlin Babylon. 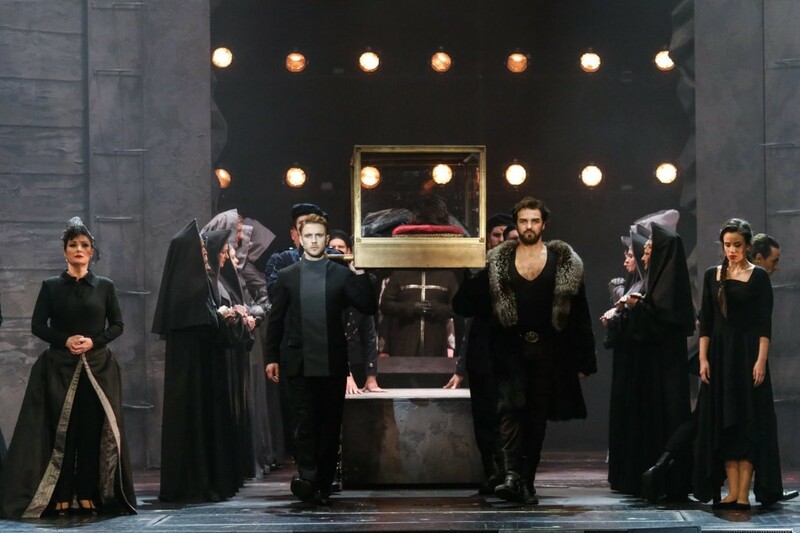 If anything, Komische Oper has proven under the artistic direction of Barrie Kosky that it can attract modern Berlin audiences like few other opera houses with its Babylonian approach to opera and operetta. Watch the entire performance on OperaVision here. For further details, performance dates and tickets, click here.